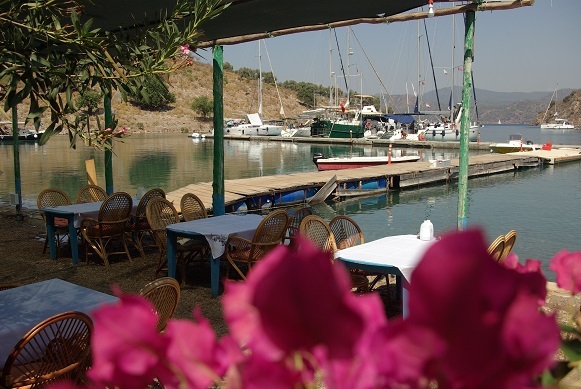 In the Fethiye Gulf there are plenty of well protected bays, many of them with small restaurants in the head of the bay where you tie up with bowanchor and sternropes ashore. There´s no fee but you are supposed to have dinner at the restaurant in the evening. Fish,Calamare ,lamb and Turkish "Mese" is served allmost everywhere.